Brenna brings her wildly creative skills to The Focus Group’s graphic design department. Our resident punk rocker, Brenna most has worked as a designer in the fast-paced world of casino marketing, serving as part of the creative team at the IP Casino Resort & Spa in Biloxi. Prior to that assignment, she was a sought-after freelance designer and illustrator. Brenna is a firm believer that design can be functional as well as beautiful and is passionate about her chosen field. Her portfolio has received accolades from professors to corporate executives who have engaged her for various projects. An award-winning designer, she is the winner of multiple Gold & Silver Addy awards from the Gulf Coast Advertising Federation. 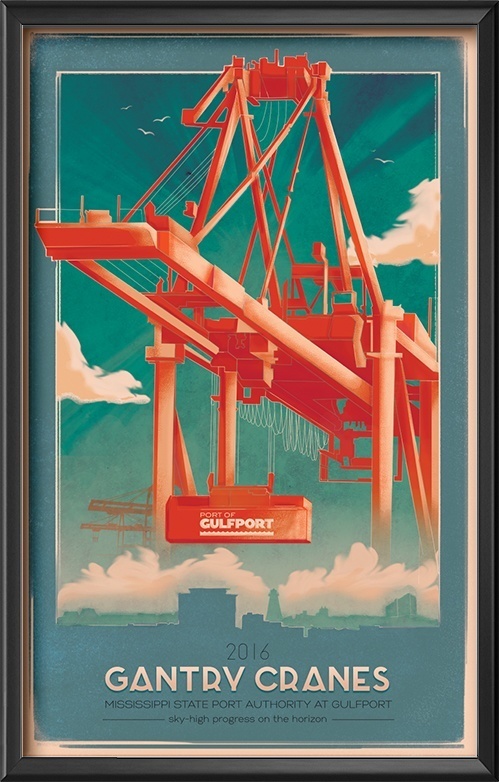 In 2017 her work on the Gantry Crane Campaign for the Port of Gulfport was recognized at the regional Addy Awards and will compete nationally. Brenna received her Bachelor of Fine Arts in Graphic Design from The University of Southern Mississippi. While at Southern Miss, she was the associate organizer of the school’s museum shows and events. She also organized the university’s digital collection and received a first place award in Southern Miss’ Annual Student Show in the typographic design category. Brenna is active in the advertising community and is working to open doors for other students as the vice president of education of the Gulf Coast Advertising Federation. Like most creatives, she loves chocolate and does her best work with a gallon of coffee by her side. What I really do: Read minds. In fact, I know what you’re thinking right now. How I give back: I spent 4 years on the Mississippi Gulf Coast Advertising Federation Board and as a teacher for the Tulane Graphic Design Department. In addition, I’m an active member of the The American Institute of Graphic Arts Triad Chapter, and have worked with fellow AIGA community leaders on projects for redesigning the experiences of patients and employees for Cone Health in Greensboro, NC.